CSA is a travel protection insurance company, not a health insurance company. However, because of the types of products they offer, you can get medical coverage for yourself or your employees for travel overseas. Enter our zip code below to get your free health insurance quotes today! CSA is a subsidiary of Europ Assistance (EA). EA was founded in 1963 and is an international company that serves in the US and around the world. 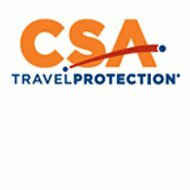 CSA is their US based travel protection company. Stonebridge Casualty Insurance Company underwrites CSA products. Stonebridge has an A.M. Best rating of A- and a long-term outlook of stable. What this means for you is that any products you purchase from CSA are guaranteed by a sound company with the ability to pay their claims. CSA has an office in San Diego, California; however, they do not provide their address on their website. As a travel insurance company, they are able to sell insurance products to anyone in the US as their products are licensed to cover your travel outside of the US. CSA office hours are 6 AM to 6 PM Monday through Friday PST and 6 AM to 3 PM on Saturday and Sunday. In order to file a claim with CSA, you will have to contact them during regular business hours or you can leave a message if it is after hours. In order to file a claim you have to first request a claim form, which you can do directly on the CSA website. You have to fill out the claim form before the claim will begin to be processed. Although CSA does not say how long it takes to process a claim, they do say that in almost all cases, once you have filled out a form, you will receive a call from your claims adjustor on the same day that you submit the form. The exception here is if you submit the claim after business hours. If this occurs, it will be the next business day before the company contacts you. CSA sells their own insurance products, which means that you will not be using an independent agent to purchase their products. However, you can use your travel agent to get a quote for the products that you want if you do not want to deal with CSA directly. CSA currently does not have any positions open with the company. Their human resources number is 888-470-9123 if you want to find out more information about future jobs that may be available with the company. CSA offers what they call a quick quote tool. This tool does not require you to provide any personal information. Instead, you answer seven questions after which you will receive a preliminary quote. What is the total cost of the trip? The bottom line, however, is that it does not matter how easy their quote tool is to use if you are not looking for travel insurance. Enter your zip code below and get your free health insurance quotes today!